Will Run For A Medal: Mirror, mirror on the wall, what is the most difficult half marathon of them all? 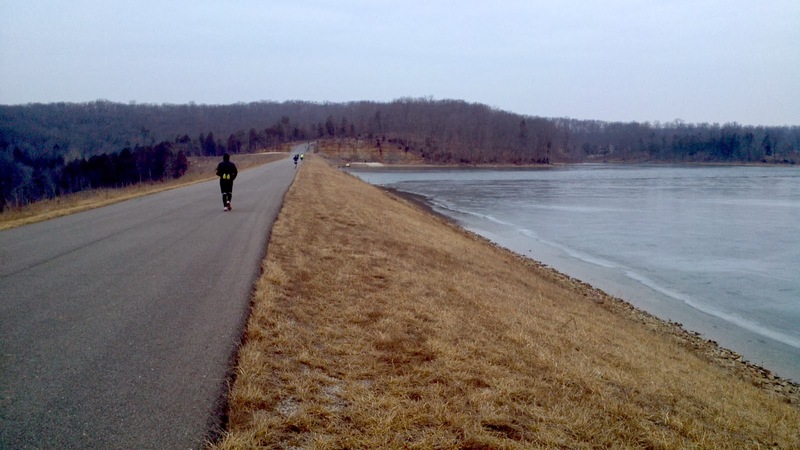 Mirror, mirror on the wall, what is the most difficult half marathon of them all? I am not a running expert, although the fact that the race I ran today was my 26th half marathon gives me some experience. 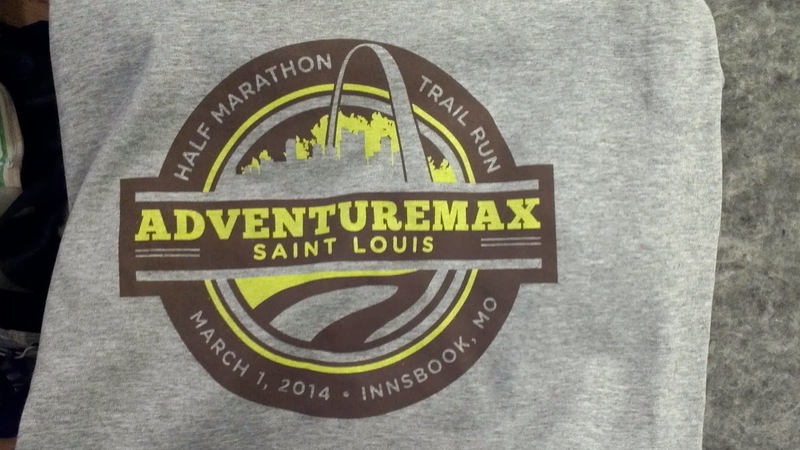 My answer to this question as of today would be: Adventuremax St. Louis held at the Innsbrook Resort in Innsbrook, MO. The Innsbrook Resort is around 45 minutes from where I live in St. Charles. 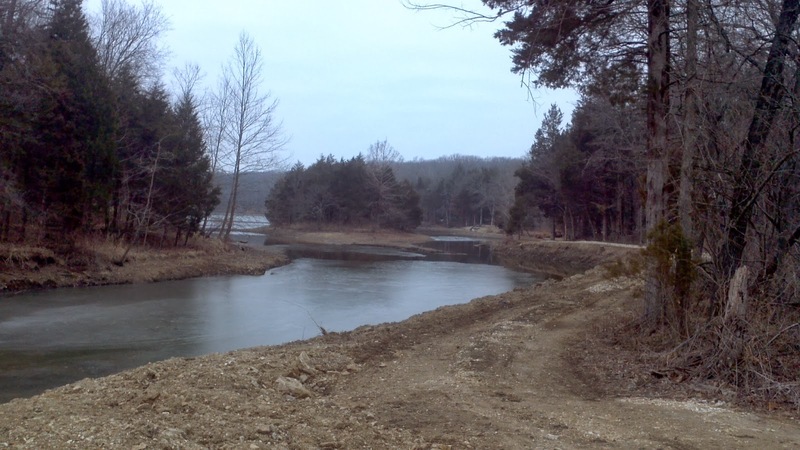 It consists of multiple ponds and lakes, beaches, golf courses, recreational and residential properties all on 7,500 acres (http://www.innsbrook-resort.com/). 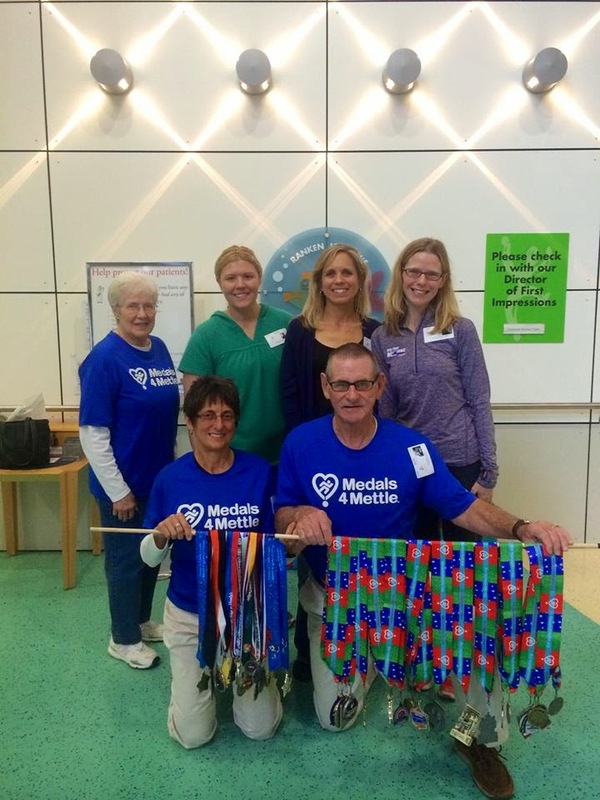 The race started at 10 a.m. to allow for day of packet pick-up, which I loved. 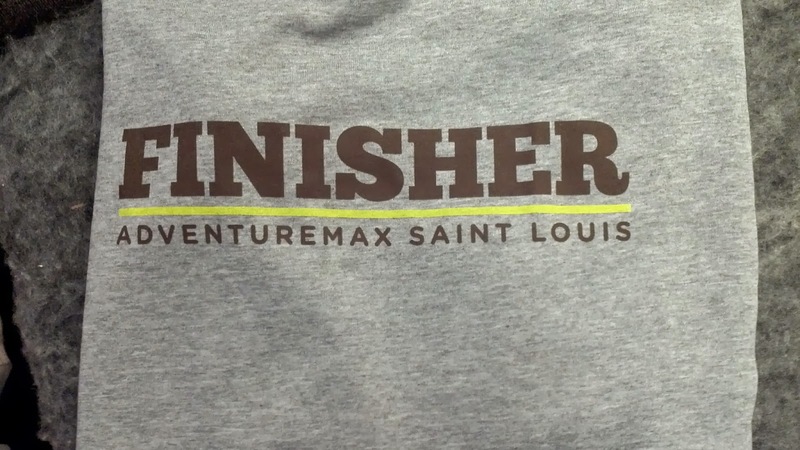 We received our "finisher" shirt at packet pick-up and would get a pint glass with the medal at the finish. For most of the race, the nearest runner was at least 1/4 mile behind and in front of me (big difference from the Disney races in January) so I had plenty of time to think and enjoy the remote setting. 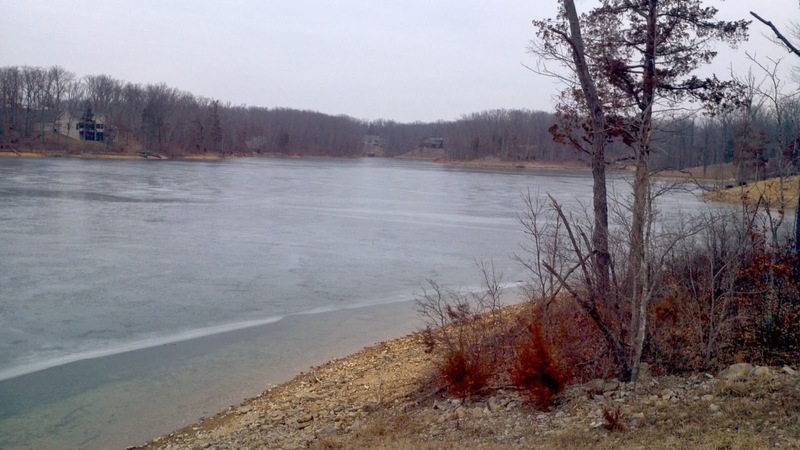 Due to the harsh winter, ice was still present on most of the ponds and lakes. Me: Is it some kind of shot gun season this weekend, because I can hear them going off? Volunteer: Oh that's off in the distance. I wouldn't worry. This was not that comforting considering that I was dressed head to toe in black and with my size and stature, I am sure I could easily be mistaken for a bear by hunters. After I exited the woods I descended another hill only to see another steep hill in front of me. The hills on this course were constant. The hills in the Ozark area of Missouri are not like the hills in St. Charles and St. Louis that just slope down towards the rivers. When you stand, your foot is perpendicular to your shin creating a 90 degree (right) angle. Obviously your feet and shins are not at this angle when you run but the hills on this course were so steep and constant that my feet and shins seemed to stay at an angle anywhere between 30 and 60 degrees. 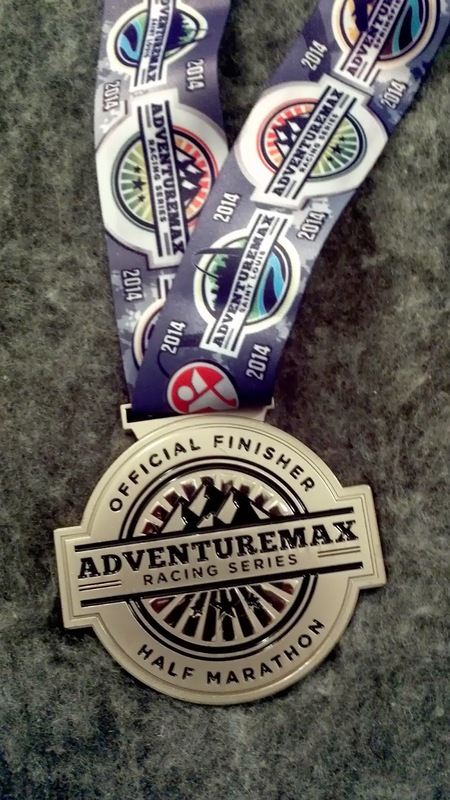 After I exited the woods I decided that this was the most challenging half marathon I had ever run. My glutes and quads were screaming but I had already seen the medal before I started and I wanted it, so I still managed to sprint to the finish line. At the finish we received the race medal, pint glass, water, and chili. 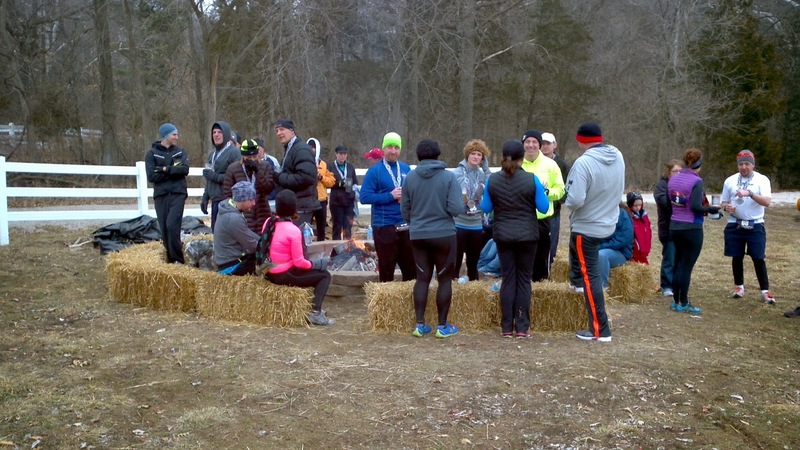 There was also a nice bon fire at the finish. Luckily the race was today (Saturday) and not scheduled for Sunday because the forecast for Sunday and Monday calls for ice followed by snow.